Sculpture Hire for Weddings, Parties, and Special Occasions. planners are always looking for ways of giving an unusual twist to the decorative effect of their displays. 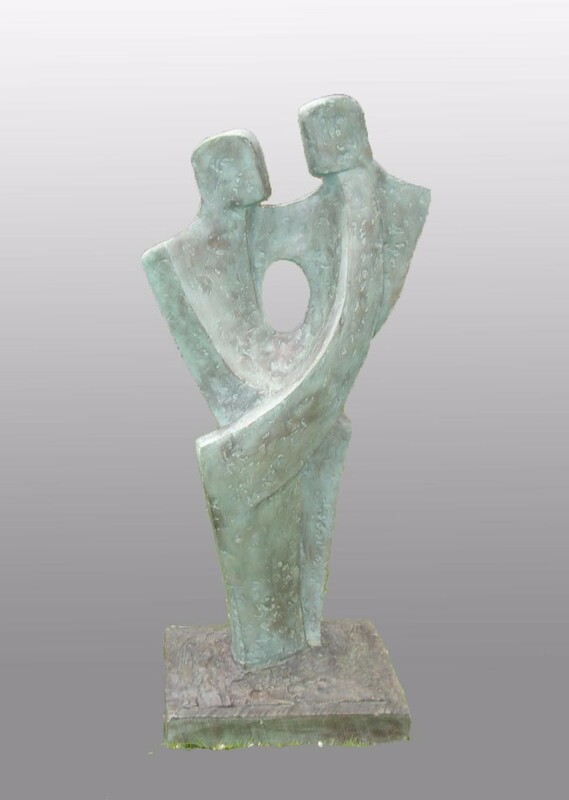 It is for this reason that couples are often drawn to John Brown’s sculptures with their sense of romance and their emotional warmth. Sculptures entitled ‘Amour’, ‘Duo’, ‘Constancy’,’ Romance’. ‘ Secrets’, ‘Vision’, and ’ The Kiss’ help to give that romantic look for both weddings and anniversaries. For parties we have a group of dance sculptures such as ‘Jive’, ‘Argentine Tango’, ’Break Dance’ and ‘Salsa’ which add movement and vibrancy to the occasion. Sculptures can be used as a stylish backdrop or setting in the reception area or marquee, whilst smaller pieces can be displayed on tables. The period of hire can be fairly flexible, from just one day to a longer period, depending on your requirements and we are already getting enquiries from events planners to hire sculptures for the coming autumn and winter season and even summer 2018. Our sculptures are also available for films or TV programmes, for photo shoots in magazines, and for product launches and advertising campaigns. If you are interested in hiring sculptures for a unique and individual wedding or special occasion please do get in touch by emailing info@johnbrown-sculptor or phoning Pauline Brown on 020 8441 5841.